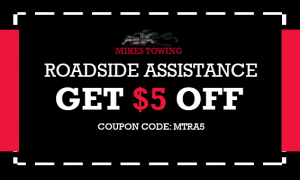 We at Mikes Towing can be happy to send our professional drivers for roadside assistance service in Indiana. You can get assistance twenty-four hours a day and seven days a week. Our trucks are specifically designed to fit in vehicles of all types. 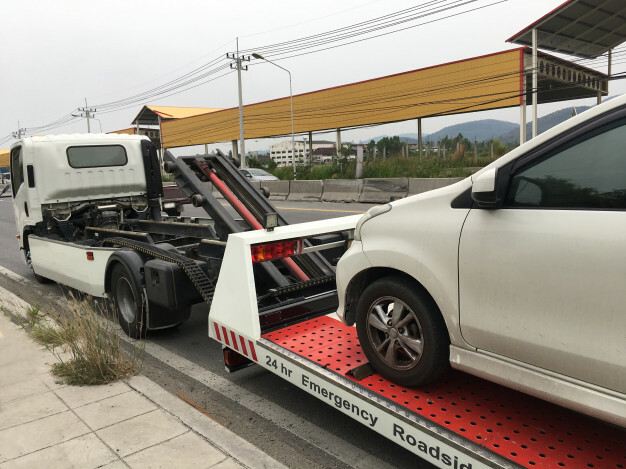 We promise to offer roadside assistance services for recoveries, breakdowns, motor vehicle accidents, tire changes, fuel delivery, and battery boost and unlocks. Call us now at Mikes Towing for more information about our services! Our winch-out services are safe, fast, effective and affordable. We have our crews with more than years of experience in the industry. We have recovered vehicles that rolled over in the river, cliffs, and embankments. Winching out of mud, rain, and snow is our specialty that Mikes Towing can offer. Severe weather or bad luck can leave your vehicle in a difficult road situation. Allow our winching professionals retrieve your vehicle. Our tow trucks are fully-equipped with booms. That is why we suggest you call us right away! If your car has a battery issue, we at Mikes Towing can help you out. We can assess your situation and tell you what is wrong with it. If it needs a battery replacement, we can suggest it as well. More importantly, we can jumpstart your car batteries. Call us right away for a jumpstart roadside assistance service in Indiana! Do not stress yourself out if you have locked your car or lost your key. You can depend on our team at Mikes Towing to assist you. Contact us for reliable and fast service. Better to schedule an appointment for us to be there on time. If you have lost your keys, our team of experts can work on vehicles of all models and makes. We will come to you easily. Our goal is to eliminate the stress involved in driving a vehicle. 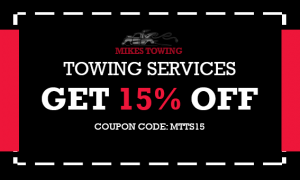 Call us for a quick service now at Mikes Towing! If your car needs a tow, or if you have a dead battery, let the experts at Mikes Towing help you. We are an emergency roadside assistance service in Indiana provider to contact to make your roadside issues disappear. In situations like these, we will always be happy to help you! What else are you waiting for? Call us now for the best and most impressive roadside assistance service in Indiana!